"The aura is with me!!!" The above info came from Sarai K, and was edited by yours truly (contact me). 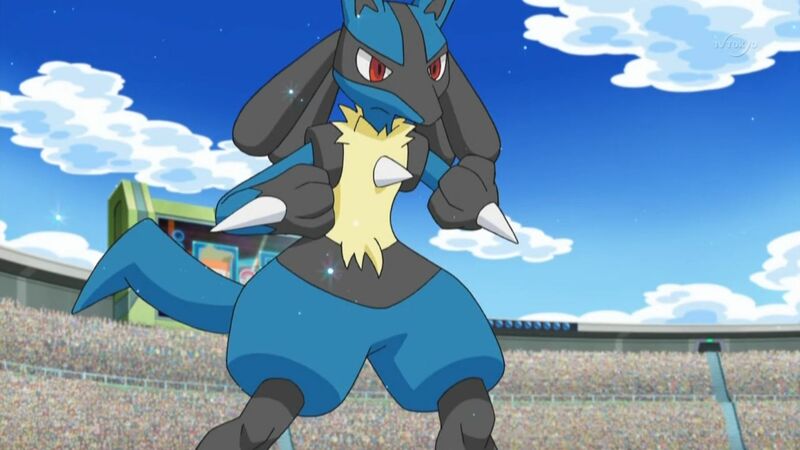 Lucario is a fan favourite Pokemon. He controls energy waves called Aura. Lucario has a starring role in the movie Lucario and the Mystery of Mew . He is also seen in the Pokemon Diamond and Pearl series. Gym Leader Maylene, the 3rd Sinnoh Gym Leader has one, as well as Riley on Iron Island. This Pokemon is also seen in the Pokemon Diamond and Pearl video games for the Nintendo DS. He is seen when battling Gym Leader Maylene, Pokemon League Champion Cynthia, and when a double team is made with Riley on Iron Island. Riley then gives the Trainer a Pokemon egg which hatches into a Riolu and then evolves into Lucario. The above description came from Sarai K, and was edited by yours truly (contact me).